This project comes at an interesting time, when our ideas about housing typology are being challenged. So many of us are familiar with the bach concept. Most of these end up being large holiday residences often standard alone that many end up retiring to. The old small summer bach concept has been replaced by the second house by the sea ideas. So as our residential suburban typology faces the challenges of medium density, why should that challenge not take to the seaside as well. 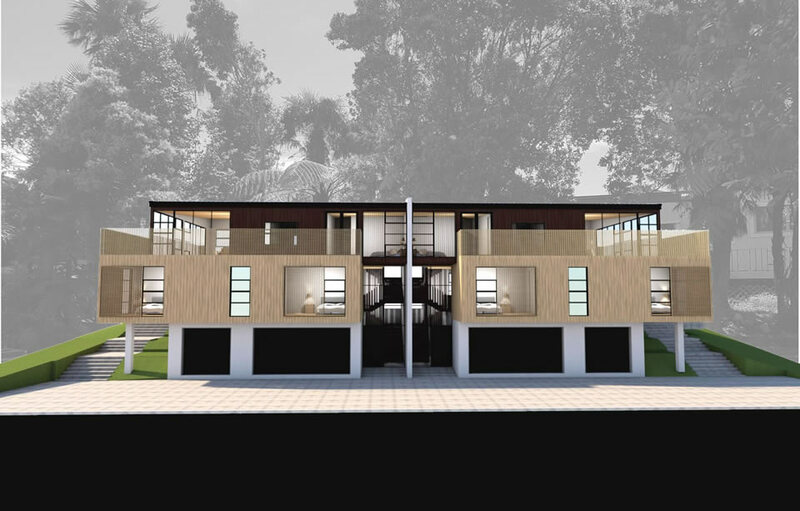 A ambitious project, this project aspires to challenge our perception of holiday houses as single or double story stand alone dwellings. 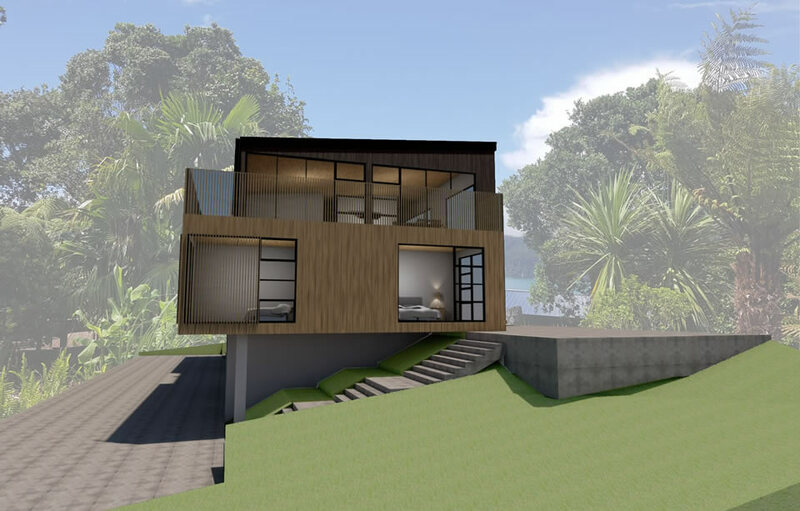 Situated on a Hill overlooking the ocean and Tairua Estury, this three story semi detatched holiday house serves to give its owner a new “bach”whilst offering financial opportunities with the second dwelling. 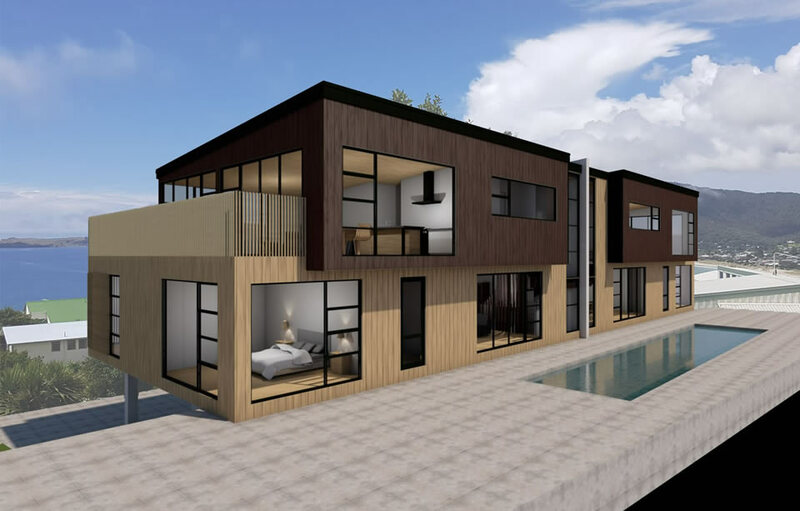 The concept for this project was one of boxes, stacked ontop of each other, but offset to balance and allow the larger areas to be located on the upper floors to give solar gain to living spaces and giving plenty of opportunity to capture the million dollar views.